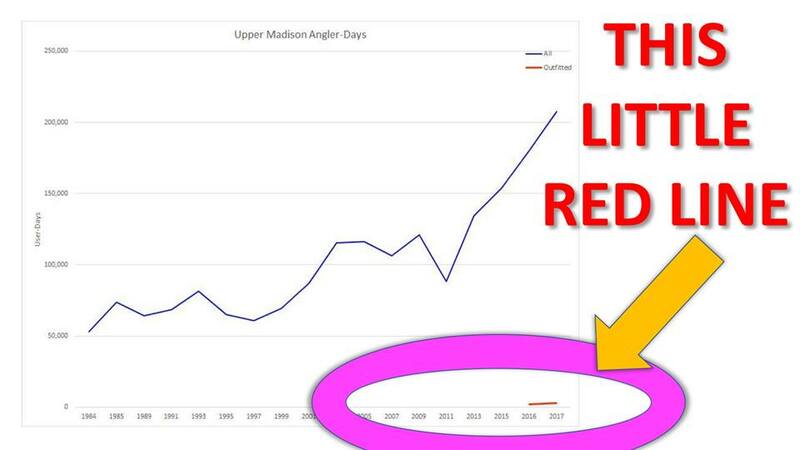 This chart shows angler use days on the Upper Madison River topping 200,000 in 2016-2017. The blue line depicts all users, the red line depicts outfitted users. 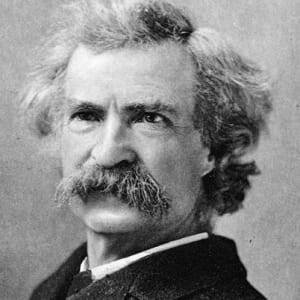 “There is a lot of talk going on about the Madison River Regulations. If there was a biological problem with the river we would not even be having these discussions. I LOVE hard data. Spreadsheets, graphs, and facts. When you make decisions- feasibility/analysis/ projections/ expected outcomes, you know the data. It is hard to argue with facts, they aren’t subject to emotion, social or personal preference. Going back to the FWP Creel Study and Angler satisfaction survey. Overall combined studies show there is not a problem. Dissatisfaction with access and launches are the only culprits. It is data provided by FWP. Adding another boat ramp at current launches? Maybe a few more access sites- organic dispersion. THAT LITTLE RED LINE! Again factual data provided by FWP. WHY WHY WHY are there regulations being made on such a small % of river use?!?! This defies common sense to me. That little red line shows approx 9.5% of use. Let’s be generous and give it 20%. No one has answers on the other 80% of use. I have heard hours of guesses and estimates. How many resident vs non resident boats? Tons of questions with no answers. ANYONE WILL FAIL not having factual data. The only thing that has data is outfitters and guides. Backwards- what has the most usage??? Low hanging fruit isn’t the answer. It is a band aid, because there is no other data. One thing that has not come up at all in discussions is the Hebgen Dam. The dam makes this river so unique and different from other rivers that have been regulated. I think that this is a huge omission. I know that certain regulations can’t be discussed again until 2025. I know that cold moving water is vital for fisheries. Immediately dissolve the NRC process. Lines were drawn in the sand. Keep the dedicated people of the NRC and create a Madison Specific CAC with an opportunity to join. Take the time- ? 2 years to obtain data on the 80% of use that there is no data on. During this time keep everything “status quo” unless the biologists of FWP deem otherwise. Create a Madison River Recreation plan based on complete factual data. Was it 2012 when there was a CAC elected to hash out the same “issues”? Seems that the CAC recommendation then was there wasn’t enough usage data to come to sensible conclusions. So. It was recommended to the FWP that “kiosks” be put at the FASites, so folks could self report. As I remember. It turned out FWP didn’t have enough budget to implement that idea. Basically zero concrete information about public use. A poor process to try to solve a “made up problem”!